Our assorted year-round holiday entertainment have costumes for all themes & occasions, such as birthday parties, children's library events, Grand Openings, and Festivals. ​Our costumed characters also do magic shows, balloon twisting & face painting, and are the perfect addition to your next seasonal holiday party or event. Our year-round holiday Talent is in high demand, so send your requests early to insure availability for your Event. We have authentic Chinese Lion Dancers performing a dramatic, choreographed show all set to explosive drum beats. The beats pulsate and build to a crescendo while the Lion puts on a spectacular dance performance that is beautiful and fun to watch. The Lion dances, walks, lies down, rears up, and gets friendly with the children in the crowd. Enjoy the sounds and culture of Mexican with a Cinco de Mayo party! 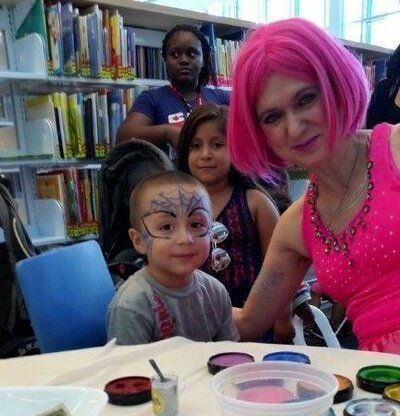 We can provide a wonderful and talented face painter for children and adults. Another very popular dress up holiday is Día de los Muertos, or Day of the Dead. A fantasy celebration of past ancestry and future parties. 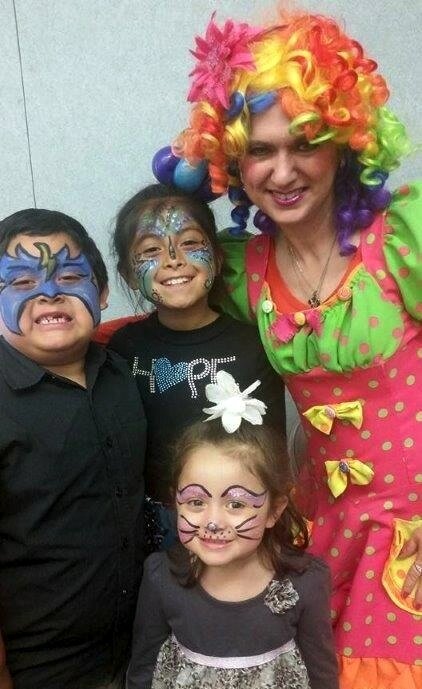 We'll bring your event to life with colorful characters, and a holiday face painter. From a cuddly, life-size bunny, to a fun Easter clown who makes balloon art, we can make your Easter party full of smiles. We have a fantastic variety of Patriotic entertainment, magicians, balloon twisters to add a splash of patriotic-themed fun! And leading some of the entertainment is our own "Mr. and Mrs. America" in their red, white and blue outfits. Halloween is not complete without some spooky storytelling, or popular look-alike characters making an appearance to amaze the children. 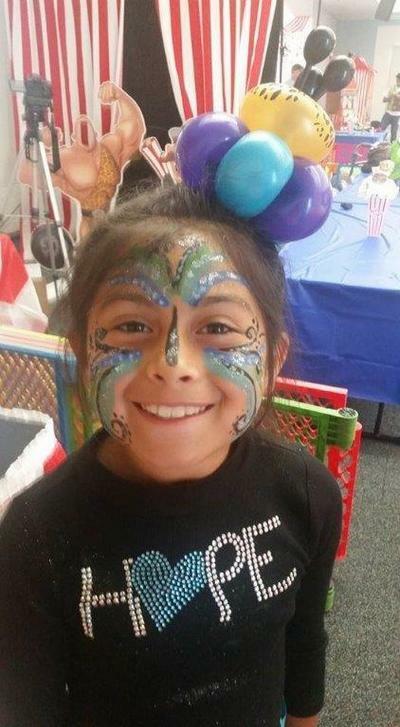 And the best part is, you can request a Halloween face painter to add a unique artistic feature to each guest. From scary ghouls to Halloween themes, children love being their favorite characters. 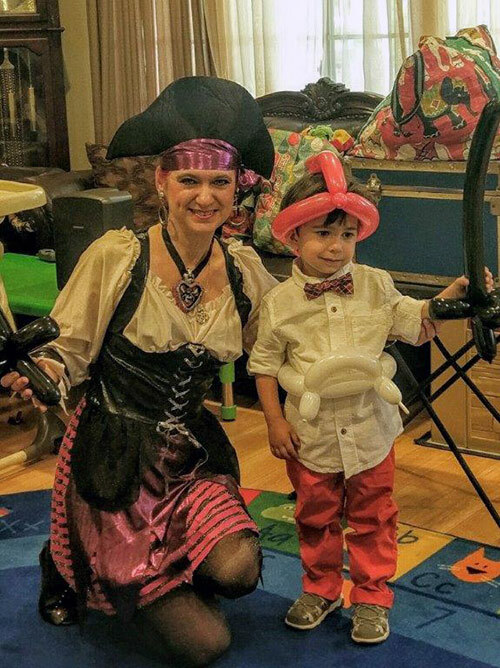 We can also provide Specialty characters like our popular Lady Pirate or Lady Mad Hatter to liven up your Halloween party. The fun doesn't stop there. 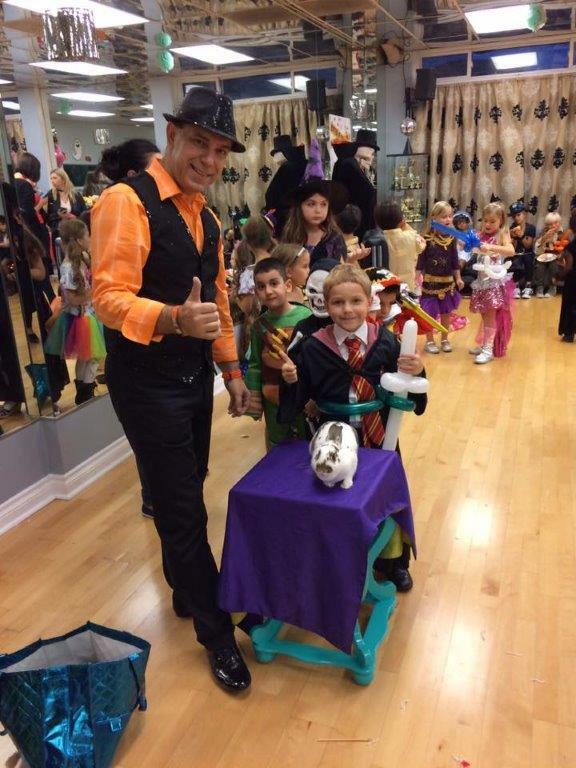 We have carnival-like magic acts complete with a friendly rabbit in a hat that children can pet and say hello to. Just be sure to include this and any other Special Requests on our "Request a Quote" page. Every Mardi Gras party is livened up by characters in flamboyant outfits and an authentic Zydeco band to get people on their feet and bouncing to a Bayou beat. We provide both! Below is an audio sample of our featured Zydeco musicians. Click the play icon to hear it. Or click the button below to watch videos of our featured Zydeco band. For children, St. Patrick's Day is just another day to dress up (in green) and be a fun character. We can make your St. Paddy's event a happy time, with balloon art, face painting, and an interactive magic show! Spread the love on Valentine's Day with an Event full of heart warming entertainment, like balloon artists, face painters, a magic act, and storytellers reading children's tales about love and human kindness.